Legionella training is an essential part of all effective workplace risk management programmes. While it is not a legal requirement, UK safety regulators, including the Health & Safety Executive (HSE) and Care Quality Commission (CQC) expect people with responsibility for the control of legionella and Legionnaires’ disease to be properly trained to a level that allows them to perform their duties safely and effectively… this means that if you have ANY responsibility for the control of legionella at work you MUST be competent to do your job. Legionella Control International is the UK’s leading legionella training course provider. We deliver a full range of classroom, on-site and online City & Guilds accredited legionella courses that meet all latest standards and satisfy the requirements for training set by the UK regulators. Our courses are designed for business owners and directors, health and safety specialists, facilities managers, technicians, duty holders and the responsible person. Courses include legionella awareness, duty holder and responsible person, refresher and practical compliance workshops. Rated highly by our clients, we work closely with organisations of all shapes and sizes, across all sectors throughout the UK and internationally, training people to give them the knowledge and skills to perform their duties effectively and so meet their legal obligations with confidence. Call us now, whether you are a small business or a multi-national, we can help you. Our legionella courses have been developed to meet the latest standards for training required by the UK’s safety regulators, the Health & Safety Executive (HSE) and Care Quality Commission (CQC). Our courses are fully compliant with ACOP L8, HSG274, HTM 04-01 and HTM 01-05. We deliver an extensive range of accredited training courses to suit many different roles and responsibilities. Our courses are City & Guilds accredited offering additional credibility in the eyes of the regulator. We are also a UK Government registered learning provider and we are approved by the Legionella Control Association (LCA) to deliver specialist legionella training. Our legionella trainers are not simply classroom academics familiar only with theory; they are also hands-on industry experts with many years’ practical experience advising clients on the control and management of legionella in commercial, industrial and institutional environments. Our trainers also offer all candidates post-learning support should they need it. We use many of the latest teaching techniques to make learning more fun, and more effective. Since their introduction our student satisfaction rating has improved significantly from 84% to near 100%. We are a City & Guilds accredited training partner, a UK Government registered learning provider; and we are members of the Legionella Control Association (LCA), approved to carry-out specialist legionella training. Our management systems are ISO 9001 and ISO 14001 accredited, and we are members of CHAS, the health and safety management scheme. With offices in Manchester, London and Glasgow, and additional training centres located throughout the UK we can offer full nationwide cover. We can also visit you at your premises. Simply add your name, telephone or email and we’ll be in touch straight away. We deliver a comprehensive range of City & Guilds accredited legionella training courses and practical skills-based workshops developed to improve legionella awareness, knowledge and competence of those involved in the management and control of legionella bacteria and Legionnaires’ disease in the workplace. We offer a wide range of courses from practical task-based workshops and legionella awareness training up to advanced level responsible person courses. Suitable for those involved in the management and control of legionella, our various courses are designed to meet the needs of candidates at all levels of technical competence and experience including business owners and directors, landlords, facilities managers, technicians, duty holders and those appointed as the responsible person. Legionella training is an essential component of any good legionella risk management programme. In fact, the UK’s Health & Safety Executive highlights the lack of training, inadequate management and poor communication as contributory factors in outbreaks of Legionnaires’ disease. As a result, they expect those people involved in assessing legionella risks, managing and applying control measures to be competent, suitably trained and fully aware of their legal responsibilities. Where and when are our 2018 training courses? Paragraph 51. Health & Safety Executive Approved Code of Practice ACOP L8″. 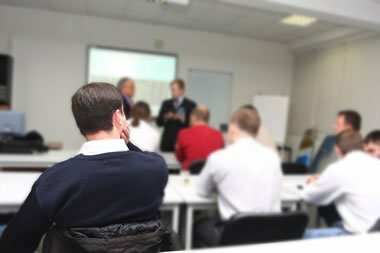 Whether you are a technician, maintenance manager, you may have taken on the role of the duty holder or been appointed the responsible person, or you are a health and safety manager wishing to improve your competence levels in this important area of health and safety, then we have a training course for you. See below for a full list of our training courses. Is it a legal requirement to have training? You are not legally required to go through training to perform your duties as a duty holder, a responsible person or if you are involved in work that may expose other people to legionella. However, with that said, you must be aware of and understand your legal responsibilities, have the appropriate level of knowledge, and be competent to do the job required of you – and that would typically mean having training to ensure you reach those levels. The need for regular refresher training is also mentioned in the ACOP L8 guidance issued by the HSE. In some cases, businesses will have complex water systems whereby the risk of legionella spreading would only be understood and managed correctly if the people involved had received appropriate training and regular refresher courses. In other instances, the risk of legionella may be so small, training may not be required to undertake the duties required of the responsible person. For example, a landlord with one or two residential properties on their books may need to do no more than a basic risk assessment to ensure there is not a significant risk of Legionella bacteria multiplying in the water systems in use. What happens when people are poorly trained to perform their duties? Anyone who has a responsibility to ensure legionella is appropriately controlled and is not a danger to those on-site who use or encounter water systems can find plenty of advice and guidance in the Health and Safety Executive’s Approved Code of Practice ACOP L8 – Legionnaires’ disease: The control of Legionella bacteria in water systems. While no one is required to follow the guidance given in the ACOP L8, you should be aware that it does have a special legal status. This means that if you are prosecuted for a breach of health and safety law, and it’s shown that you failed to follow the ACOP, you’ll need to convince the Court that you complied with the law in some other way. The same applies to training. While it is not necessary to have legionella training, without it, it is far more likely you would unwittingly neglect some of your duties in dealing with legionella. It would be far more likely that you, the responsible person, or the duty holder, or anyone else involved, may assume they are doing enough to meet their legal responsibilities in this area, when in fact they are falling short. So, while legionella training is not a legal requirement, it is perhaps a moral requirement. The HSE makes it clear that the person appointing someone to undertake a risk assessment, for example, should be skilled, competent, and experienced in this area. While you may not be the individual to undertake the risk assessment and other duties in this area, you must be able to identify the right person for the job. Training provided to this person, and indeed undertaken by you, can help keep you and your colleagues’ safe, not to mention all others who may encounter the water systems used by your business. As an employer, do I need training? Once again, while there is no legal requirement to have any, it is of paramount importance that you take your duties and responsibilities seriously. If you have training, you will develop a far greater understanding of the risks posed by legionella, and how you can identify and control those risks within your own organisation. Training will also make it easier for you to understand what must be done to ensure levels of Legionella bacteria (and other waterborne pathogens) remain at safe levels. It makes the chance of errors and omissions far less likely to happen, thus making your business environment safer, and making it easier for you to adhere to all health and safety laws and the specific requirements regarding the control of legionella and Legionnaires’ disease. Who else needs legionella training? Anyone who is involved in risk assessments for legionella, or who must perform regular checks on a water system, or who is responsible for cleaning, disinfection or treating a water system, should have regular training and refresher courses to help them perform their jobs properly. Without such training, there is a greatly-increased chance that things will get missed or go wrong. Competence is an important word that comes up time and again when you begin reading about Legionnaires’ disease, legionella and your duties in keeping it under control, and keeping your business safe from the potential risks that exist. For a person to be competent in their duties, they must have a good understanding of their legal responsibilities, knowledge of Legionnaires’ disease, Legionella bacteria and how it may multiply in certain circumstances, and of how such multiplication can be prevented by taking appropriate actions to identify and control the risks. It is easy to see that if a person does not have the required level of experience and competence, there is a far greater chance they will not perform their duties to the highest standards required. This in turn may mean Legionella bacteria is allowed to multiply within a water system, thereby creating an increased risk of people being affected by the bacteria, and possibly developing either Legionnaires’ disease or Pontiac fever. Competence can only be confirmed if a person undertakes and completes an appropriate, recognised course of legionella training. Continued competence is then achievable by taking regular refresher courses to solidify and confirm the original knowledge gleaned from the chosen course. Can training help you avoid the most likely failures? If you are an employer, landlord or have health and safety responsibilities for other people then you have certain obligations under health and safety law. Even if you appoint others to handle risk assessments and other duties relating to the management of legionella risks, you are still responsible for making sure they are adequately and appropriately trained. Take steps today to make sure that is the case. Call Legionella Control International now on 0330 223 36 86 and find out about our bespoke training, internet training, and regular training and refresher courses. Our legionella awareness training courses are City & Guilds accredited and are ideal for candidates who require an introduction to Legionnaires’ disease and the control of legionella in accordance with the Health & Safety Executive’s ACOP L8 and Technical Guidance HSG274. Typically, candidates will be landlords, building owners, estates managers, health and safety managers, caretakers, facilities managers, maintenance contractors, and those with responsibility for the safe operation of man-made water systems. Our legionella responsible person training courses are City and Guilds accredited and are designed specifically for those candidates who have been appointed as the “responsible person” (or deputy) and “duty holder” in accordance with the HSE’s ACOP L8. Typically, candidates will be the appointed “responsible person” for a facility, or have day-to-day responsibility for the management and control of Legionnaires’ disease and Legionellosis risks. We offer a number of advanced level training courses that cover domestic hot and cold water systems (taps, showers etc. ), cooling systems (including cooling towers), other risk systems, and the control of Legionnaires’ disease in hospitals and healthcare environments. The Health & Safety Executive reccommend regular refresher training covering the control of Legionella bacteria is undertaken on a regular basis. We recommend training is updated every three years as a minimum, or when a major change affects the facility being managed, treatment technologies or relevant legislation takes place. We offer City & Guilds refresher training updates aimed at different competence levels including general legionella awareness, “duty holder” and “responsible person” training updates. If you are unable to find a course that meets your exact requirements then please contact us as we also offer a range of bespoke training courses that can be carefully tailored to meet the specific needs of your staff and your organisation. Additionally, we also offer a full range of online legionella courses accessed via the Internet allowing candidates to learn at a pace, time and location convenient to them. LCA 8000 is a City & Guilds accredited practical legionella training course designed specifically for candidates who want to learn how to perform routine monitoring and maintenance tasks required as part of an ACOP L8 legionella control and compliance programme. LCA 9000 is a City & Guilds accredited one day classroom based legionella awareness training course designed specifically for candidates who require an introduction to Legionnaires’ disease and the control of legionella bacteria in hot and cold water services in accordance with the HSE’s ACOP L8. LCA 9001 is a City & Guilds accredited one day classroom based legionella awareness training course designed specifically for candidates who require an introduction to Legionnaires’ disease and the control of legionella bacteria in hot and cold water services, cooling towers and other evaporative cooling systems in accordance with the HSE’s ACOP L8. LCA 9010 is a City & Guilds accredited two day classroom based legionella responsible person training course designed specifically for candidates who have been appointed the “Responsible Person” in accordance with the HSE’s ACOP L8, and with responsibility for hot and cold water systems, and other water systems that may represent a legionella risk. LCA 9011 is a City & Guilds accredited three day classroom based legionella training course designed specifically for candidates who have been appointed the “Responsible Person” in accordance with the HSE’s ACOP L8, and with responsibility for hot and cold water services, evaporative cooling systems including cooling towers, and other risk systems. LCA 9012 is a City & Guilds accredited two day classroom based legionella training course designed specifically for candidates who operate within hospitals and other healthcare environments and have been appointed the “Responsible Person” in accordance with the DoH’s HTM 04-01 and the HSE’s ACOP L8; and who have responsibility for hot and cold water services, and other water systems that may present legionella and/or Pseudomonas risks. LCA 9013 is a City & Guilds accredited three day classroom based legionella training course designed specifically for candidates who operate within hospitals and other healthcare environments and have been appointed the “Responsible Person” in accordance with the DoH’s HTM 04-01 and the HSE’s ACOP L8; and who have responsibility for hot and cold water services, evaporative cooling systems including cooling towers and other water systems that may present legionella and/or Pseudomonas risks. LCA 7000 is a City & Guilds accredited one day classroom based Pseudomonas training course designed specifically for candidates who require an introduction to the control of Pseudomonas aeruginosa in augmented care units, hospitals and other healthcare premises in accordance with the Department of Health’s Health Technical Memorandum HTM 04-01, including Part C: Pseudomonas aeruginosa – advice for augmented care units. Legionella Control International offer a range of City & Guilds accredited legionella training courses, seminars and practical skills-based workshops that can be carefully tailored to meet the specific needs of your staff and your organisation. The UK’s Health & Safety Executive recognise that keeping informed and up to date in any safety critical environment is important, in fact they specifically state in their Approved Code of Practice and guidance document L8 that refresher training covering aspects associated with the control of legionella bacteria in water systems should undertaken on a regular basis. Legionella Control International is the UK’s leading legionella training course provider. We deliver a full range of classroom, on-site and online City & Guilds accredited legionella courses that meet all latest standards and satisfy the requirements for training set by the UK regulators.